It’s safe to say that only eleven years ago, Liverpool was still considered a hidden gem – a world away from the thriving tourism and business hub that it is today. That all changed in 2008 when Liverpool was awarded the European Capital of Culture and the city went through what many have described as a renaissance. Helen said: “With over 22 years of experience within this industry, I have seen first-hand how dramatically the tourism landscape has changed of the last decade. The city has undergone a period of regeneration, leading to economic growth and in turn, the hospitality sector has been thriving. In 2017, 64.2 million people travelled to the city and recent figures show that in 2018, Liverpool’s tourism economy reached an all-time high with an estimated net worth of £4.5 billion. “Over the coming months, the city will host several high-profile events that will bring visitors from all over the world and myself and my team are delighted to be a part of the excitement. As part of my role, I am keen to preserve and enhance Liverpool’s growing reputation as a tourism hub and destination for international conferences and events. Liverpool itself offers visitors a unique experience with its fascinating heritage and history. As a way to enhance this, our locally recruited and internally trained team of staff are encouraged to really engage with visitors by sharing their own knowledge of the city from places to visit to informative facts – all of which creates a lasting impression and helps to show Liverpool in its very best light. “This year’s Labour Party Conference recently took place in the Liverpool ACC with an estimated 13,000 in attendance – It goes to show just how far Liverpool has come as a city. Liverpool is now competing on a European platform and the hospitality industry needs to offer a world class service in order to keep up and meet the high standards that have become expected. Carrington’s Catering has formed an integral part of Liverpool’s tourism industry, having worked with prolific venues such as St George’s Hall and the Anglican Cathedral, taking on high-profile events including catering for HRH The Queen. 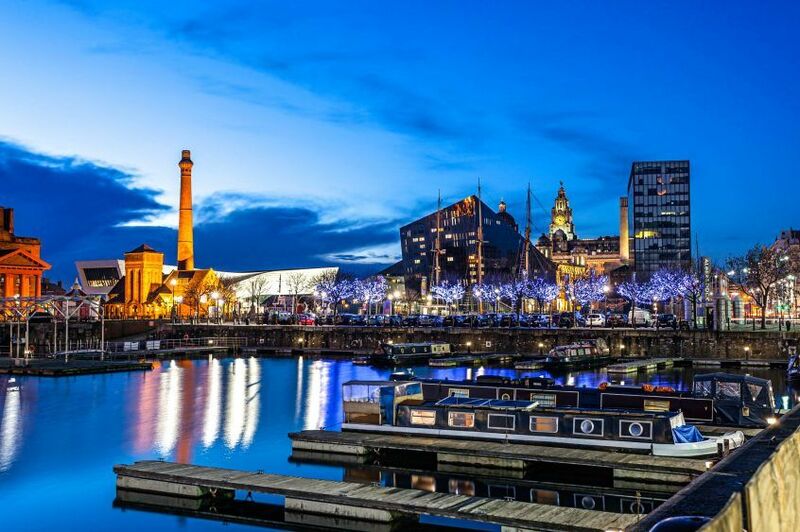 “Last year, the number of day visitors to Liverpool grew to 59 million, and this continues to grow thanks to events like The Giants Spectacular which will return to the city for the third and final time this October. The Giants first arrived in Liverpool 10 years ago as part of the 2008 European Capital of Culture and returned again in 2012 and 2014. This growth in tourism has had a direct impact on the hospitality industry, supporting 35,000 jobs in 2017- a 3.2% increase and worth over £3billion to the economy. This has naturally reflected in our own business which has grown by 100% and now employs over 70 people. It is my priority to maintain a strong workforce and change the mentality about working within the hospitality industry within the city region, demonstrating that a career in this industry is something to be proud of. Aside from catering for awards, Helen herself is nominated for the Business Person of the Year award at the Merseyside Independent Business Awards and has been shortlisted in this year’s MiaList.